On Friday 30th August you can see, hear and explore how the two Braggs revolutionised science as we know it today. Join us to discover more about the two Braggs' lives, labours and legacy. Book your tickets by clicking on the links below. How did William and Lawrence Bragg solve the structure of crystals, when the atoms they plotted were invisible to the eye? Two leading experts in the science of crystallography explain this apparent paradox in a lecture than includes a number of practical demonstrations. See for yourself how the highly visual science of crystallography emerged from a few simple experiments, which have helped illuminate the building blocks of the material world. Explore the exhibition in the company of historians of science and contemporary crystallographers to find out more about the Braggs’ significance. 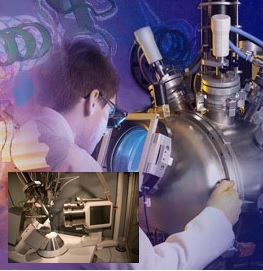 The tour includes a visit to the University of Warwick’s operational state-of-the-art X-ray crystallography laboratory. A century has passed since Lawrence and William Bragg used X-rays to uncover the 3-D structure of salt. This discovery was central to biographer John Jenkins’s claim that the two Braggs ‘influenced a wider range of disciplines more profoundly than anyone else’. 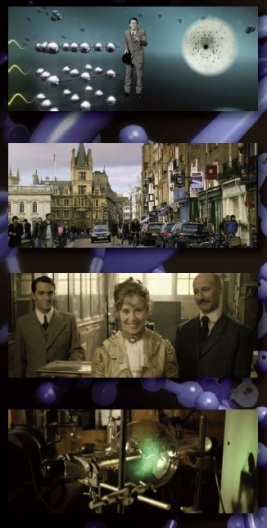 In this lecture, Professor Garman illuminates the applications of the Braggs’ methods to the discovery of effective drugs and treatments. This film explores the remarkable story off two shy men who went on to become the only father and son team to win a Nobel Prize. Two-dozen more Nobel Prizes have since followed their ground-breaking discoveries. Exploring their lives, labours and legacy, Driven to Diffraction brings to life William and Lawrence Bragg’s exceptional contribution to a century of ground-breaking science.